Making Money Online - Start Here! Making Money Online Starts Here! Simply Decide What Type Of Anyone You Are - Read, Then Do! Simply know yourself - your strengths and weaknesses; your knowledge, skills and interests; your aims and objectives, and how much time you are willing to spend trying to reach them! This is easy to say, but difficult to do! But if you want to avoid hours, weeks, even months of frustration, it's vital that you know who you are and what you want to achieve before you begin. Armed with this information you are, or can become, someone (anyone) that can sell online. So, What Type Of Anyone Are You? Are you anyone with NO WEBSITE and NO PRODUCT ? (Maybe someone with no web design skills, and no desire to gain them?) Actually, we all own something and we can all sell via online auctions! Are you anyone with a WEBSITE but NO PRODUCT ? (Maybe someone who does not want the hassle of selling products online?) With affiliate marketing (associate programs) you can let others sell for you! Are you anyone with a WEBSITE and PRODUCT ? (Maybe someone with an offline business, and a website to sell them on?) Hey, it's simple then - you just need to learn how to make your site sell! 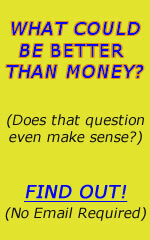 So, decide who you are and know what skills you possess, and you'll be ready to make money online!